Located 280km south of Sydney, Batemans Bay is a popular holiday destination on the New South Wales south coast. Just off the Princes Highway, Batemans Bay is 151km southeast of Canberra and 760km northeast of Melbourne. Situated on the Clyde River, Batemans Bay is a thriving coastal town known for its spectacular seascapes. Offering a coastline of golden beaches and sheltered coves, Batemans Bay is a popular leisure destination that attractions surfers, fishermen, artists, boaties, snorkellers, nature lovers and families. Batemans Bay is also known for its parklands and wildlife both at the Murramarang National Park and Birdland Animal Park where you'll find hectares of parkland home to eastern grey kangaroos, Australian native birds, duck ponds an animal nursery and more. 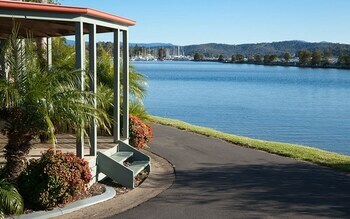 Batemans Bay accommodation offers a wide range of options to cater for the popularity of this coastal holiday destination. Featuring a range of options to suit all budgets and travellers, Batemans Bay accommodation ranges from budget motels to comfortable hotels, luxury apartments, beachfront resorts, guest houses, B&Bs and more. Close to local shopping and dining, Batemans Bay accommodation is also conveniently close to a number of attractions including beaches, the Clyde River, escarpments and scenic treks. 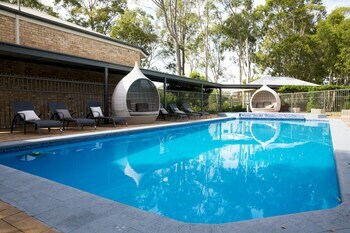 Batemans Bay holiday packages are a convenient way to plan your holiday while saving money at the same time. Offering an easy and affordable way to coordinate all aspects of your holiday, these Batemans Bay holiday packages combine all your travel needs into one significantly discounted package. There are a number of existing packages to choose from or you can customise one to suit your own needs with a wide range of inclusions such as accommodation, meals, car hire, tours and even flights and travel insurance. You'll also benefit from bonus inclusions like free nights, room upgrades, breakfast daily and complimentary services such as WiFi, car parking and even massages. Although Batemans Bay is a coastal holiday destination popular for simply relaxing, there's also plenty to see and do during your stay here. Batemans Bay attractions are particularly focused on the region's stunning natural attractions including the mangroves, oyster flats, golden beaches and sheltered coves. The Batemans Bay Marine Park is particularly popular for activities such as swimming, snorkelling, diving, fishing and boating. The Clyde River is also the perfect spot to enjoy a leisurely cruise and the Catalina Country Club offers 27 holes in one of the south coast's finest golf courses. Follow Beach Road and enjoy the picturesque beaches and coves or drop a line in to catch mulloway, bream and flathead. No visit to Batemans Bay is complete with checking out Broulee Beach, Birdland Animal Park and the parklands and wildlife of Murramarang National Park.